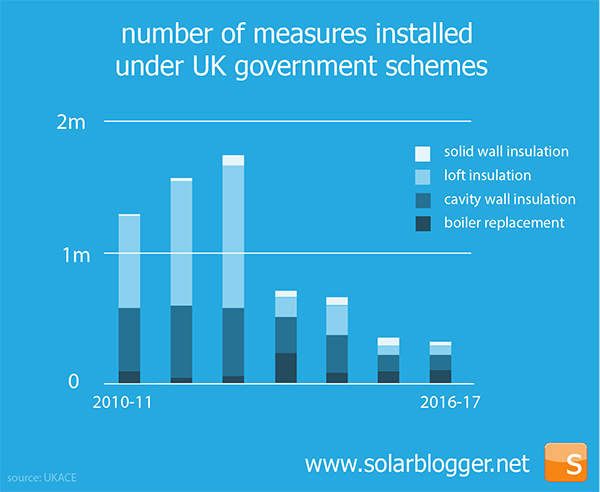 The track record of UK initiatives to encourage us to make our homes more energy efficient has been patchy to say the least. The schemes come and go, but the results are depressingly consistent. A range of government schemes have required the larger energy providers to invest in energy efficiency measures such as loft and cavity wall insulation for homes. The current version is the Energy Company Obligation (ECO), but before that we had CESP and CERT and others. This bizarre concept - making a business responsible for implementing measures that reduce demand for its own products - seems like putting a fox in charge of security improvements to the chicken coop. It is perhaps unsurprising then that foot-dragging, missed targets and ineffective measures have been the result. In 2014, many of the energy suppliers were fined for failing to meet their targets to install insulation. British Gas was fined £11million, a development which their PR department brazenly promoted as a charitable donation. One is left wondering if the energy companies considered these fines a small price to pay rather than helping people spend less on energy. Measures installed under this scheme crashed by more than 80% after 2012 when a panicking George Osborne announced huge cuts following a Labour proposal to cap the prices people pay for energy. Greg Barker's Green Deal scheme to 'transform the energy efficiency market' was in trouble almost from the start. Having told us that he'd struggle to sleep if the number of home improvements it financed was less than 10,000 in the first year, the actual number came in at 626. In what now looks like a rather desperate effort, Greg managed to convince the Treasury to throw in a few hundred millions to the Green Deal Home Improvement Fund (GDHIF), to give a further cash-back grant to householders who installed energy efficiency measures. Most of this stop-start funding was spent on boiler replacements (and how many of these would have happened anyway as they reached end of life is open to debate). The scheme was ignominiously withdrawn after writing only a few thousand energy efficiency loans. The offer to consumers was complicated and unappealing. The interest rate was a hefty 7%, which compares unfavourably with mortgage finance. Only measures that met the so-called 'Golden Rule' could be fully financed - where the estimated savings on energy bills were greater or the same as the repayments collected through your energy bills. What this all added up to was - go through all the hassle of having all this work done in your house and your energy bills will be about the same as they were before. The Green Deal Finance Company is now in private hands, but it is still unclear how the new owners will address the fundamental shortcomings of the scheme. These schemes pay for renewable energy - power and heat where homes and businesses install technologies such as solar PV panels, solar thermal panels, heat pumps and wood chip burning stoves in their homes or businesses. The intention was that these would provide long-lasting and stable support for renewables after a series of start-stop grant schemes that had preceded them. The Feed in Tariff (FIT) is due to close in 2019 after a tumultuous few years in which government struggled to keep up with rapid reductions in the cost of solar PV panels. 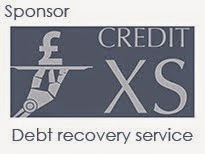 As a result of the payments being fixed while the costs fell sharply, the financial returns from the scheme rose rapidly. Returns of 15-20% were not uncommon, payback periods as short as four or five years reported. As more and more people joined the party the budget ballooned. Cue panic in Whitehall, an over-correction on the tariff rates and a return to the boom-bust market from which the scheme was supposed to mark a departure. The Minimum Energy Efficiency Standard (MEES) applies in England and Wales and requires private landlords of both domestic and non-domestic properties to ensure that their properties meet a minimum level of energy efficiency. Buildings that do not cannot be re-let after April 2018 and cannot be let at all after April 2020. Unfortunately, as I revealed in an earlier blog, a landlord can apply for an exemption if they cannot do the required improvements without upfront costs, which relied on the Green Deal being available. But this has now gone, leaving a loop-hole in the legislation so large you could drive an un-insulated house with broken windows through it. Similar legislation being consulted upon in Scotland only deals with domestic properties, but sensibly places a limit on the maximum cost for a landlord. So far, there's no apparent interest in fixing this mess at Westminster. The Energy Efficiency Standard for Social Housing (EESSH) is legislation in Scotland that requires social housing providers to ensure that their housing stock is all above a minimum energy efficiency level by the end of December 2020, with an intention to gradually ramp up the required levels over time. EESSH looks like its already producing some significant investments in Scottish social housing. It really does look like the one to watch, at least of all the schemes listed. What all these schemes have in common is that they deal piecemeal with the challenge of making our buildings more energy efficient. They imagine that the 'journey' to having an energy efficient home fit for the future is taken one small step after another. First insulate your cavity walls and loft. Then change your boiler to an efficient new one. Have some solar panels on that roof. Now replace your whole radiator system take out your efficient new boiler and fit a heat pump. Many also rely on government spending, a fickle foundation upon which to base investments in housing stocks or to build long-term business plans (as those of us in the solar industry will attest). With the demise of the Green Deal, and no sign of anything to replace it, there's a huge hole in the government's policy to meet forthcoming carbon budgets. This is not something that has gone unnoticed by the government's own Committee on Climate Change (CCC), which in its 2017 report gave government policy for residential energy efficiency a red light for able to pay households and an amber light for low income households. It is into this gaping hole left by the UK government inaction and disinterest springs Energiesprong. This is a concept that originates in the Netherlands that could totally revolutionise the way we approach domestic energy efficiency and it is the subject of my next blog. This is my first visit here and I am really impressed by reading the information content you provided. It is very unique and useful. I really appreciate the time and effort you spend to share this with us! I do hope to read more updates from you. It is my pleasure to read this. KK Batteries is one of the best Inverter Service centre in Chennai. We provide batteries with guarantee thus making us the best Car Battery Dealers in Chennai. We are Inverter Battery dealers in Chennai with various accessible models.